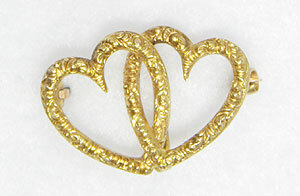 This antique 14K yellow gold watch pin is crafted in the shape of two interlocked hearts. The tops of the hearts are adorned with repousse designs. 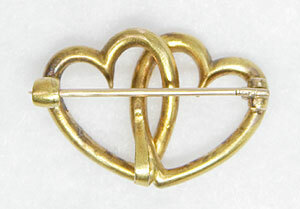 The pin measures 1” in width and 3/4" in height. Circa: 1890.